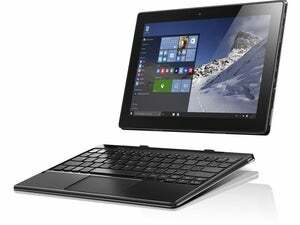 Smartphone vendors are applying their mobile acumen to user demand for tablets that can also be laptops. The traditional tablet may not be dying, but it’s increasingly being relegated to the low end of the market, according to an IDC report released Thursday. Users are migrating toward convertibles instead, and the vendors are following. IDC said worldwide tablet sales fell 14.7 percent to just 39.6 million units during the first quarter of 2016. Excluding some seasonal holiday upticks, tablet sales have generally declined from their all-time high in the fourth quarter of 2013, when worldwide sales reached 78.6 million units. IDC analyst Jitesh Ubrani said traditional slate tablets still dominate the market with 87.6 percent of all units sold. Increasingly, though, they’ve become “synonymous with the low end of the market,” IDC said in its report. The firm said it believes the market for iPads will continue, but only as replacements, not as new customers purchasing an iPad for the first time. 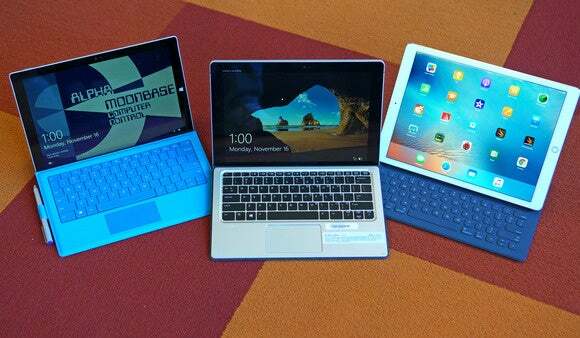 The story behind the story: Two trends seem to be emerging, IDC noted: First, premium tablets are evolving into detachables like the Microsoft Surface Pro 4 and Apple iPad Pro. Detachable sales climbed by triple-digit rates to 4.9 million units, IDC said. Second, the traditional tablet is heading down toward the low end of the market, where Asian smartphone vendors are applying their mobile acumen to this larger form factor. The latter trend explains the rise of Huawei, the only vendor in IDC’s top five that saw any positive growth. The company’s worldwide tablet shipments nearly doubled to 2.1 million during the first quarter. Apple, whose iPad shipments fell by 18.8 percent from last year, still ranks as the top tablet vendor, with 10.3 million units sold worldwide. Samsung ranks second, with 6 million units (sales fell 28 percent). Amazon was third with 2.2 million units, followed by Lenovo (2.2 million units) and Huawei (2.1 million units). Another data point helps confirm that tablet vendors are driving down price: Separately, IDC reported Thursday that budget ARM vendor Mediatek became the preferred microprocessor vendor during the third quarter of 2015, bypassing Apple for the first time. Naturally, any vendor would prefer to sell a $1,299 Surface Pro 4 convertible rather than a $130 low-end Android tablet. In other words, consumers should expect Huawei and its competition to develop their own Surface clones, IDC said.